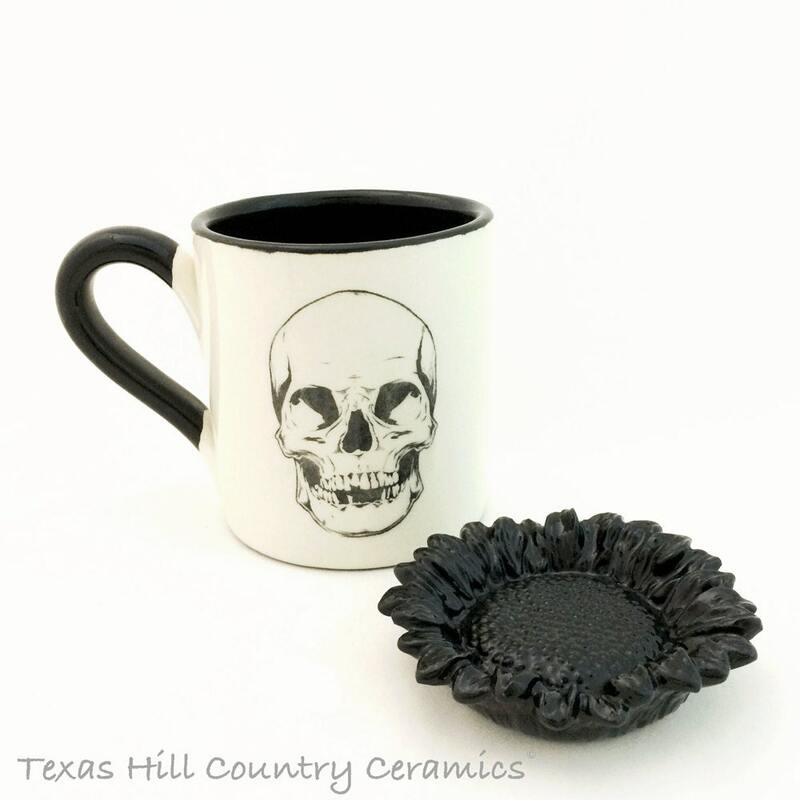 This black ceramic Sunflower is a perfect fit for any skull cup or mug. 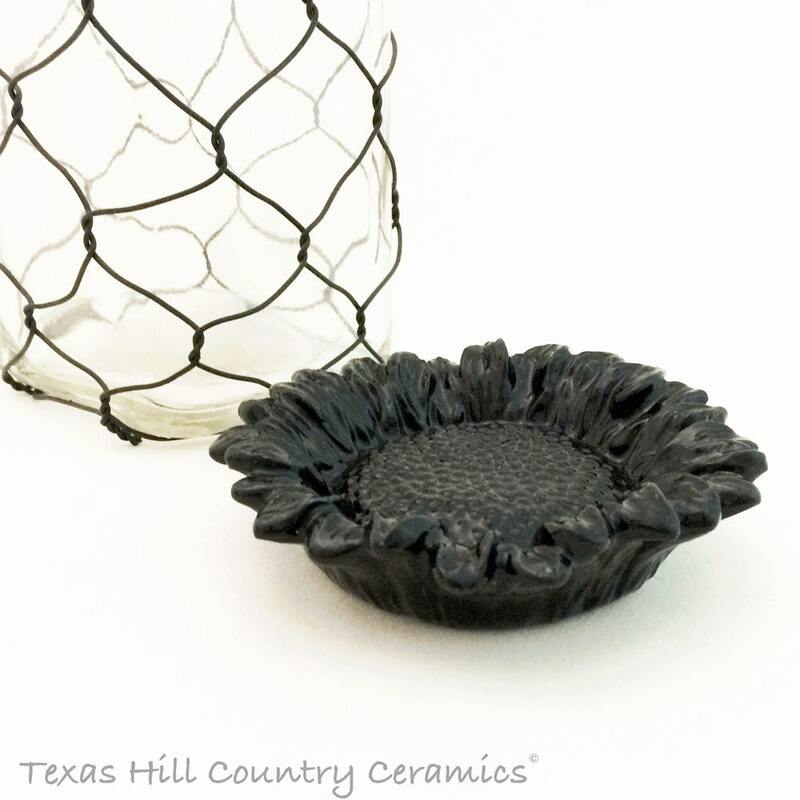 This black flower can be used as a tea bag holder or as a keepsake trinket tray, small spoon rest or universal catch all on your desk or dresser or bath vanity or as spooky Halloween decor and goth accent ware. The uses for this black flower are limited by your imagination. • 3 inches in diameter. This listing in for 1 sunflower in black. All ceramics are made of earthenware clay in my studio located in central Texas, USA. Each piece is hand cast from a ceramic mold for uniformity and kiln fired. 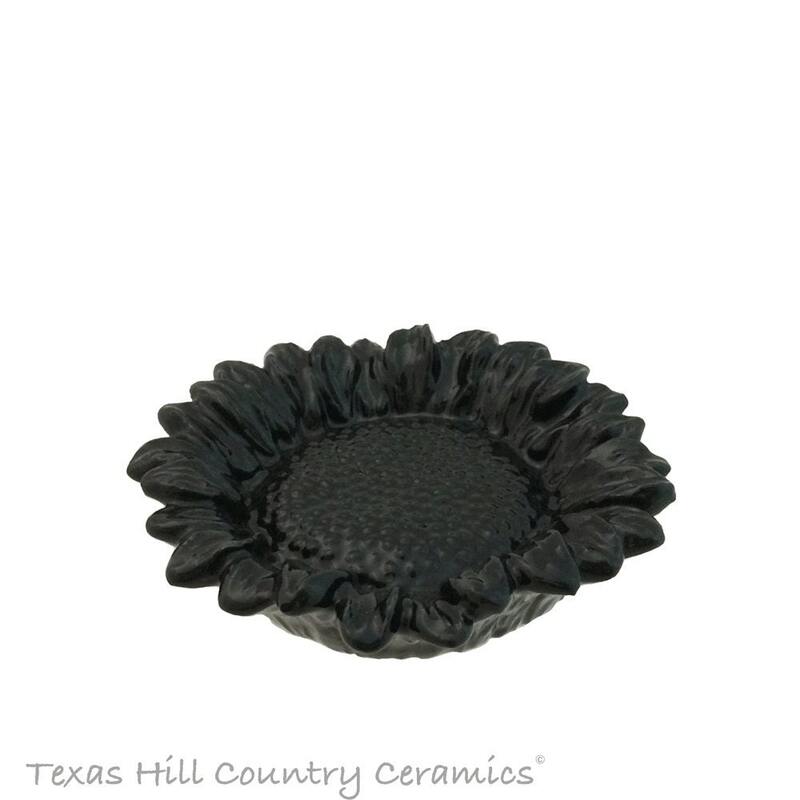 The black flower is made to be use, also the lead free gloss glaze is applied with a brush for added durability.